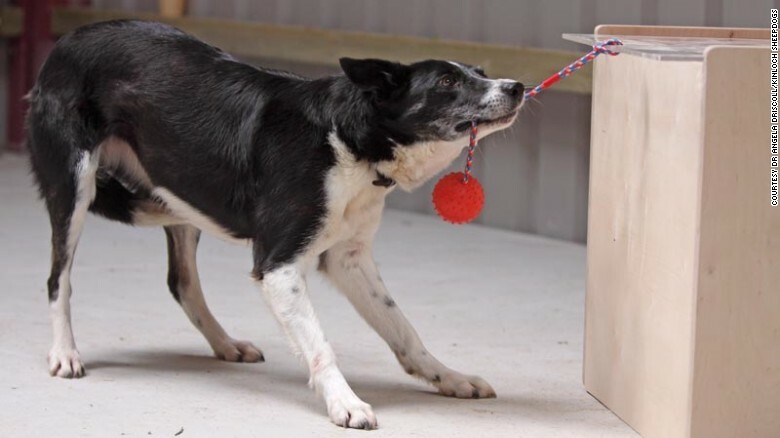 British scientists have devised what is believed to be the first IQ test for dogs, using a series of obstacles to assess the intelligence of 68 working border collies. They found that much like humans, dogs do, in fact, have measurable IQs. And given that dogs' minds aren't influenced by factors such as smoking cigarettes, drinking alcohol and drug abuse, they also offer a unique testing ground for scientists. Researchers hope these tests will help our understanding of the link between health and IQ in humans. "In humans, there is a small but measurable tendency for people who are brighter to be healthier and live longer," explained Dr. Rosalind Arden, a research associate at London School of Economics and Political Science(LSE) who helped carry out the study in conjunction with the University of Edinburgh. "So if, as our research suggests, dog intelligence is structured similarly to ours, studying a species that doesn't smoke, drink, use recreational drugs and does not have large differences in education and income, may help us understand this link between intelligence and health better."